14 | September | 2014 | Welcome to Wreck Beach! 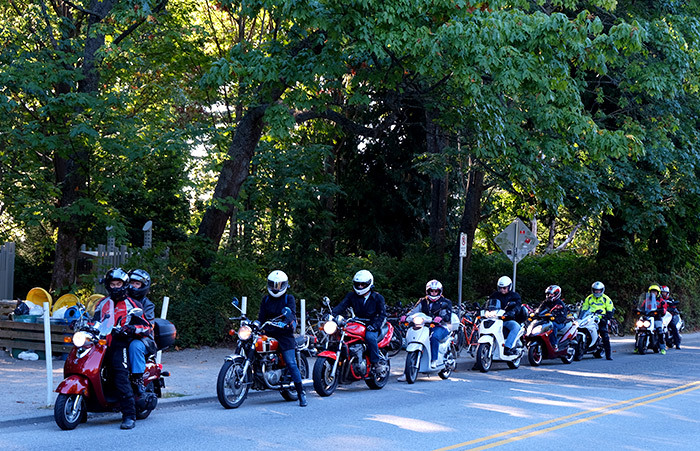 As we mentioned, We had Janie Brown’s Last Ride today. 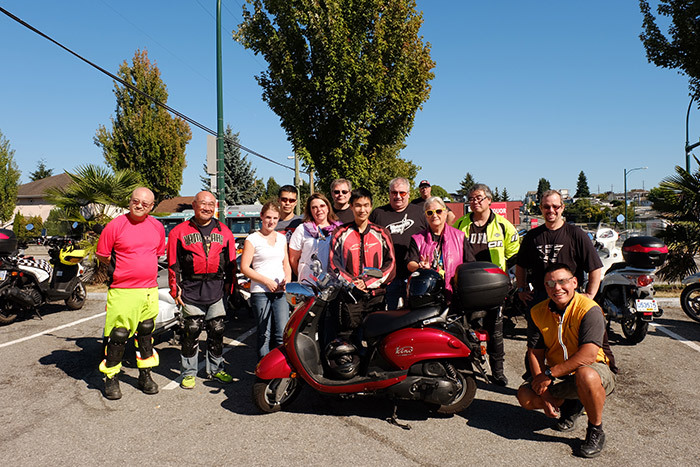 We had many participate including a scooter club Janie was joining. 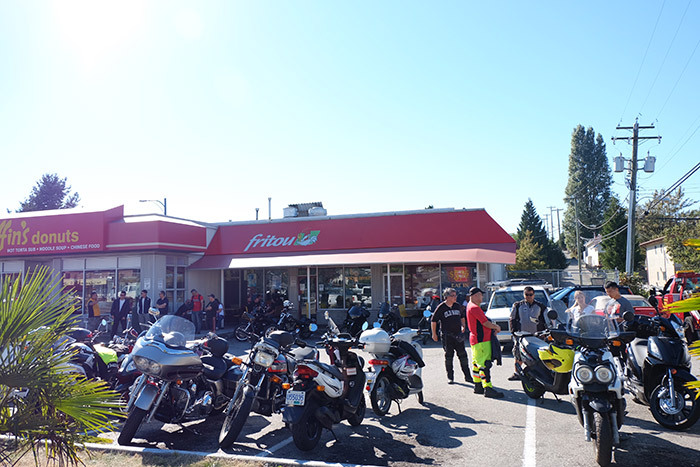 As the photo shows, we had almost parking lot full of bikes. I thought personally my bike was going to be the oldest… but was wrong. 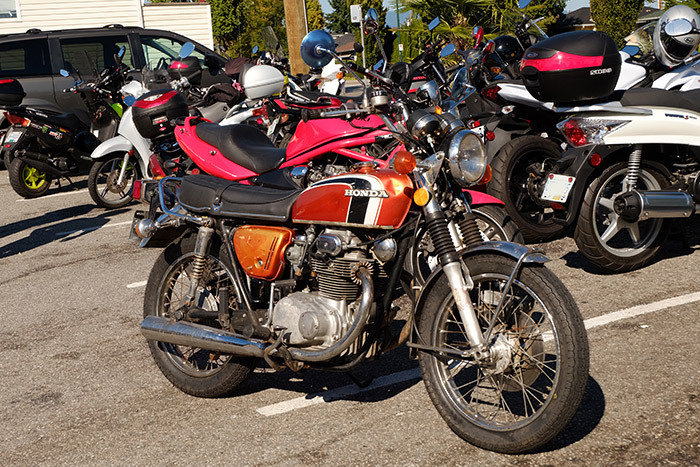 This is the oldest one… 1973 Honda CB350. where Janie used to hang around. Then, the ride went all the way to Richmond Night Market. Thank you everybody who participated today’s run. at Wreck Beach trail 6.